The feeling of escaping. If only momentarily. Of endless green, vineyard sprawl & the decadence fine local produce. To have Domaine Chandon's Yarra Valley winery restaurant Greenpoint Brasserie come to the city, to The Emerson Rooftop to be precise, was pure magic. Preview night ; stepping through the elevator doors onto The Emerson rooftop, greeted with free flowing glasses of fine Chandon. The ambience suggested we were in for something special. Setting the scene ; Bubbly. Oysters on arrival. 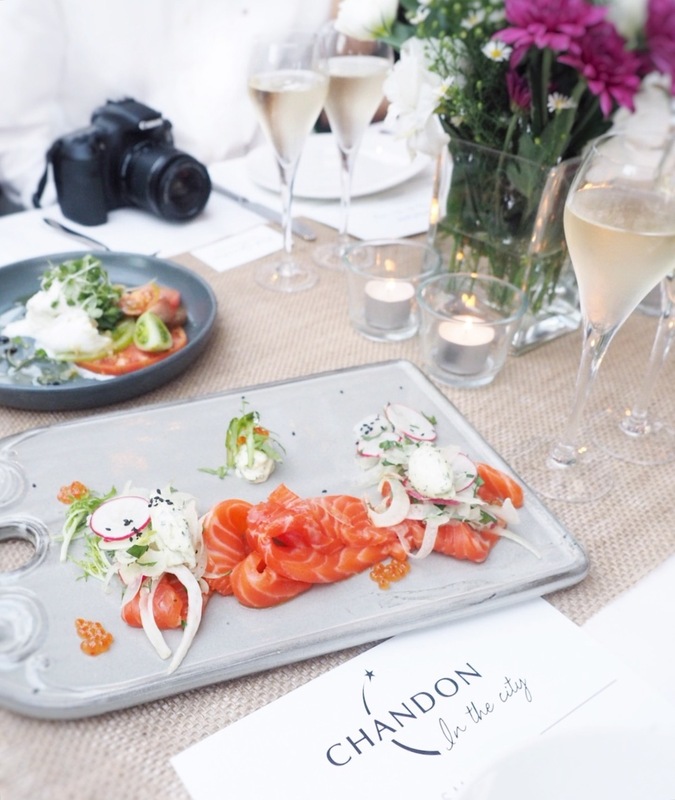 A beautiful rooftop bar transformed into The Chandon Experience. We indulged in far too many courses (twelve if you're going to make me count). 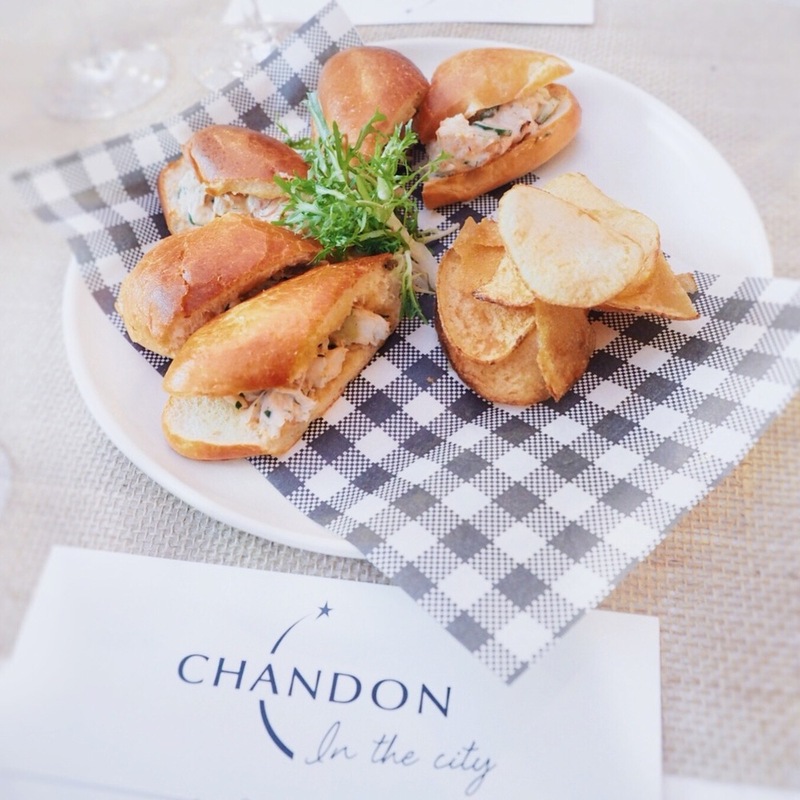 We indulged in a curated menu with wine pairings from Chandon's extensive list of still and sparkling wines. I could almost believe we were in lush countryside, home to the cellar door.